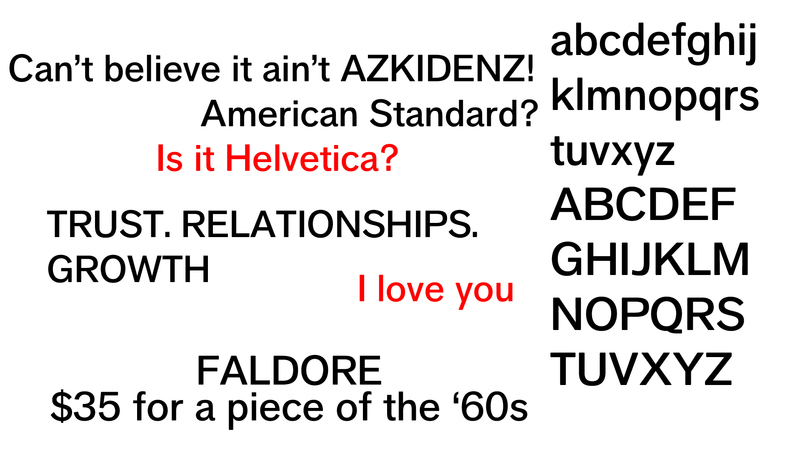 Faldore is a very interesting font I stumbled upon today, first of all you can’t deny the extreme similitude with “Azkidenz Grotesk” or “American Standard” as you may now it and obviously “Helvetica”. However the big twist is: “Helvetica” costs $900+ to buy a commercial license on while this costs $35. Extremely legible, smooth and nice looking. With an “Open Sansy” ‘S’. Interesting choices on the uppercase ‘Q’ and ‘R’, the first being more roundy than “Helvetica” while the latter being even straighter than “Arial”. Overall a great and useful font that you should consider. Or straight up buy the font for just $35! and support Hanken!